IPU CET 2019 Application Form has been Released on 23rd March 2019. IPU CET is refereed as Indraprastha University Common Entrance Test, and from this Year Exam Conducted on National Level. 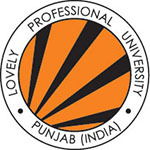 IPU CET exam is administrated by the IPU University. IPU CET 2019 Admission will be Done through National Level Tests. 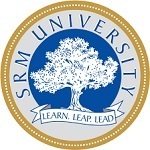 Admission is offered by the university in various UG, PG and other courses in the field of Engineering, management, law, computer applications, medical, nursing, etc. Candidates will be given admission on the bases of NEET Scores. 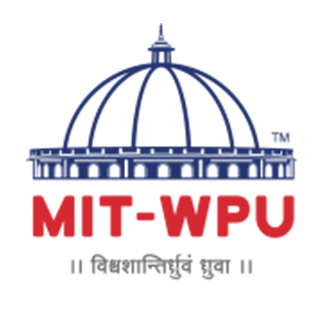 Candidates will get admission through IPU CET scores in GGSIPU and its affiliated institutions. 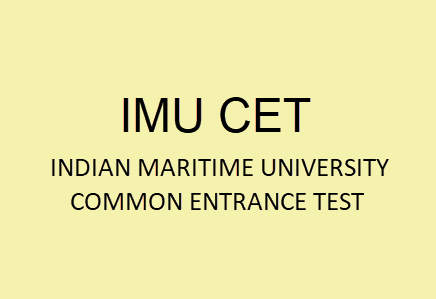 IPU CET 2019 examination details are provided which contains Exam Dates, Application Form, Eligibility Criteria, Exam Pattern, Admit Cards, Result, And Syllabus Etc. IPU CET 2019 Application Form has been Released on 23rd March 2019. Click Here to Check Application Details. From this Year, IPU CET 2019 Admission will be Done on the basis of National Entrance Exam. Click Here to Check Exam Notice Details. IPU CET 2019 important exam dates are provided which every candidate must know. Exam dates are provided according to the courses wise. In the table, events are mentioned as the Last date to submit the application, Exam date, and Result announcement, etc. The IPU CET 2019 Application form has been Released on 23rd March 2019. Candidates have to fill and submit the application before the due dates. The IPU CET application form will be available through online mode only. IPU CET Application Form has been released on 23rd March 2019. After filling application upload your scanned images of passport size photograph, signature, and left-hand thumb impression. Candidates can apply for multiple courses through login. Candidate must keep the printout of the result for further use. Candidates must keep print copies of it for further use. All candidates must pay IPU CET application form fees as mentioned in the form. Once candidates pay IPU CET application fees it will be not refunded or transferred back to candidates. The application fee will be Rs. 1000/- for each course. Payment will be made via online mode using the debit/credit card and net banking. Different courses have different criteria check it according to your selected courses wise. Before filling IPU CET application check full eligibility criteria and check whether you fulfill all criteria or not. Here we have mentioned the eligibility criteria for various courses. Candidates whose result is awaited, compartment and supplementary cases are also eligible to apply. B. Tech 12th class passed with PCM subjects. Candidates must have 55% aggregate in PCM subjects and must have passed in English subject. M.Tech B.Tech., B.E., Grad. IETE, AMIE, MCA, M.Sc in relevant field. MBA Three-year bachelor degree or equivalent in any stream. Candidates should have obtained 50% marks in aggregate. MCA Bachelor degree in any stream with securing 50% aggregate. Must have passed in Mathematics & English subjects at 10+2 level. BCA 12th class or equivalent exam passed with at least 50% marks. Must have passed in English and Mathematics/Computer Science subjects. LLB 10+2 or equivalent exam passed with minimum 50% aggregate. Should have passed in English subject also. IPU CET Exam Pattern 2019 is provided below to get familiar with it and syllabus. The exam will be conducted through offline means (pen and paper-based) mode. Candidates have to write their paper from blue or black ball point pen to mark the answer. Paper of IPU CET 2019 will be conducted in OMR pattern. From this Year Exam will be Done through National Level Entrance Exam. Mode of Exam: The exam will be conducted through offline (pen and paper-based) mode. Pattern: It will be conducted in OMR pattern. Answering Mode: Candidates must use a blue or black ballpoint pen to mark the answer. of Questions: The question paper will contain 150 questions (200 for Biotechnology). Negative Marking: One mark will be deducted for the wrong answer. Questions with more than one answer will also be considered as the wrong answer. Make a proper timetable as per your suitability. 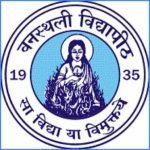 Go through syllabus and exam pattern of IPU CET 2019 exam. Revise all topics from chapter and study perfectly. The study from reference books and other study materials of the best author. Practice and solve the question from previous year question papers it will help you in the study and you can get the details about the exam pattern. Maintain your health and stay fit. Study well and be prepared for the IPU CET 2019 exam, in test question asked will be to test candidates knowledge and IQ level. IPU CET 2019 syllabus will be different for various courses offered under the CET. Tech course syllabus will be comprised of Physics, Chemistry and Mathematics subjects. Question asked in the exam will be of 10+2 or graduation level as per the courses opted by candidates. Prepare for the exam as per the officially prescribed IPU CET 2019 syllabus by authority. IPU CET 2019 Admit Card will be announced through online mode. IPU CET 2019 admit card will be released before one week from the date of examination. IPU CET 2019 admit card will be announced on the online official portal. Candidates must fill all details and must carry two copies of the photograph (same as uploaded in the application) at the exam center. Keep two printouts of the IPU CET 2019 admit card. One admit cards will be retained after getting it signed by the Invigilator. And second copy will be given to the invigilator for university records. 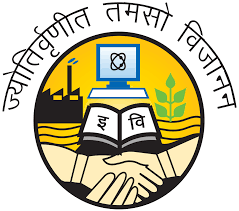 IPU CET 2019 result will be issued by authority two weeks after the completion of the exam. The IPU CET 2019 result will be available via online mode only. After few days of IPU CET, 2019 exam result will be declared on official portal. Candidates must keep printed copies of IPU CET 2019 result for admission process. IPU CET 2019 Counselling will be held in offline mode and it is conducted in various rounds as per the availability of seats. At the time of Counselling, candidates have to be present at the prescribed date and time to participate in the counseling process. Carry all required documents along with the photocopies at the counseling center. Candidates appearing for counseling have to pay counseling fee of Rs. 1000/- which is nonrefundable. After paying fees candidates will be handed admission slip by the admission officer, keep that slip for further needs. It must be noted here that candidates who fail to report for admission, will have no claim to their allotted seat and any fees paid will be forfeited. Below is given IPU CET 2018 exam centers for candidate’s preference purpose. All candidates must check exam centers of the year 2019 on official portal through online mode. For any other queries about IPU CET 2019, you may leave your queries below.